I just accepted a new job in Los Angeles. My housing situation doesn't really allow for the kind of project space I've enjoyed in the past (goodbye 1-acre lot with two car garage and long driveway...). I've autocrossed for years now, but I'm not sure I'll be keeping up with it here. Just way too many recreational opportunities and I don't live very close to where the autocrosses happen. I do want to keep going with cars, and have been thinking about getting an older car. Due to parking, I'd prefer something I could daily. As I'd sell my current car once I prove this one's reliability (I want to have it for a month or two to identify any issues before relying on it), it would also need to have enough room for a hockey bag (think a large misshapen duffel) and hockey stick. I daily drove a 1980 FIAT 124 Spider when I was in college and had a pretty good experience. It was reliable as long as I kept driving it (once it sat for a few months it would get sketchy until I started driving regularly and ironed out whatever maladies it had developed). It was fuel injection though, and my only previous experience with carburetors didn't end well. The only thing I've been coming up with so far is an old Beetle, but I'm open to suggestions. I'll only be in LA for about two years, and I really only need it for commuting from my apartment to work. My biggest worry about the Beetle is 1) reliability for getting to work, 2) not being able to get up to highway speeds (maybe I shouldn't worry, when do the highways get up to highway speeds out here?). Edit - P.S. - Other cars I was thinking about: Volvo P1800 (pretty rare), MG MGB GT (ditto). Or, going a good bit newer with something like a Rabbit GTI or E30 325i (it just seems like the latter especially is quite overpriced these days, should've got one when I was in high school like I wanted to!). I lived with a BMW 2002 as a daily driver for several years, including driving it to the office and then to various work sites during the day. An entertaining car to drive in traffic, nimble, great visibility, and a reasonable amount of space inside and/or in the trunk. Certainly able to keep up with modern traffic. My coworkers thought I was crazy but then, they didn't have a smile on their faces after driving to work as I did upon arrival, either. Whatever you decide on make sure the AC works. Datsun of some sort? Old RWD Toyota? The Volvo Amazon and especially the 142 are great drivers, much more modern than many of their peers. 4 wheel power disks, comfy seats, indestructible engines, and 3 point belts make the commute more enjoyable. The 1800 is a looker, but prices are on the rise. 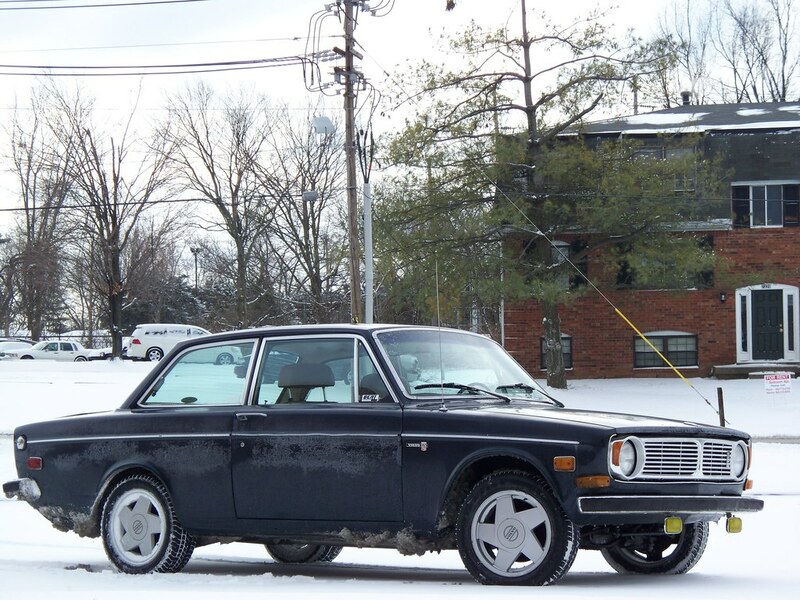 If you do start looking at old Volvos, I recommend the overdrive. They're otherwise pretty taxed at modern freeway speeds. The 4 speed will do it, but at a cost to your hearing. Welcome to the Golden "brown" State. The quest for a fun car in So Cal is truly a trip into the candy store of your choice. The DMV, department of motor vehicles, can be avoided if you join the AAA but the smog requirements on cars after 1975 are set in stone. The car passing "smog" is the responsibility of the seller, just make sure you can duplicate the pass two years after you transfer the title. If you live at an altitude greater than 3500 the rules are a little different, on how they test the car. The BMWCCA have very active groups in both LA and San Diego. We measure distance in "time" not "miles". Two hours is just a stroll on the west side. Make sure you have a "Fast Pass". Whatever you choose MUST easily tolerate sitting stopped in traffic for long periods. I would go with the Volvo Amazon. 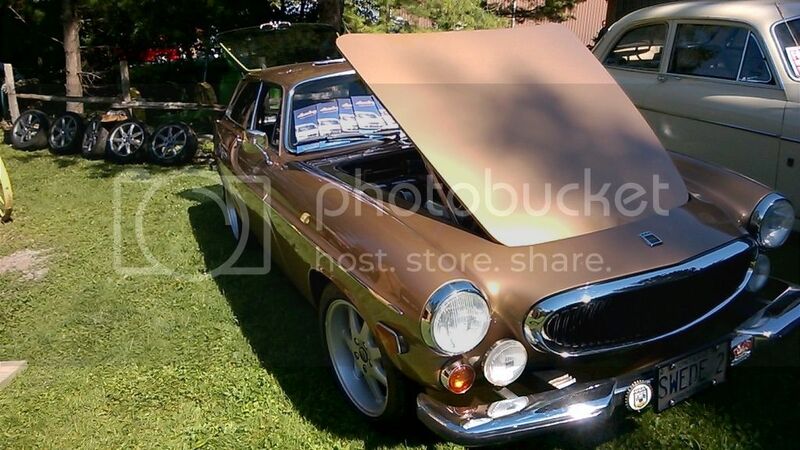 Same car as the P1800 but more room and easier to find cheap. Was just at a classic Volvo show this week-end, and I am always amazed at how much driving the Volvo guys do compared to the British classic crowd. Lower level of shine perhaps, but they will go anywhere anytime. Early NA series Miata would be a great way to have a fun car that you can park anywhere. NOHOME wrote: I would go with the Volvo Amazon. Same car as the P1800 but more room and easier to find cheap. Was just at a classic Volvo show this week-end, and I am always amazed at how much driving the Volvo guys do compared to the British classic crowd. Lower level of shine perhaps, but they will go anywhere anytime. One of the reasons for attending was that the wife-unit wanted to find a stock Volvo color for her car. Mission accomplished. I'd keep it pre 76 (smog exempt) whatever you go with. Keeping an early CA emissions car in working order would be a nightmare far scarier than the most cursed and hateful air cooled beetle in existence. The answer could be Miata. The early ones are still plentiful, they don't rust here, and finding smog parts is easy. Passing smog should be relatively smooth sailing. The biggest drawback would be the catalytic converters in those cars are a little long in the tooth. You'd need a CARB-spec converter to be legal. No $90 universal fit specials allowed. However, a '93 Miata CA-spec cat will set you back about $160 at Rock Auto so not too bad. The 20-25 year-old ones are old enough to be considered "classic." I'll put in another vote for classic Volvo. My 72 drove much more like a 90s car than it had any right to. Just watch for rust in the floors and anywhere you see snow stuck to the car in this picture (funny how that works huh). I love 140-series Volvos but I see maybe one of them per year here in the LA area. 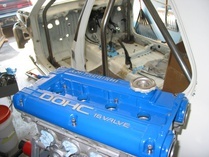 72 Capri with a 5.0 / T5 swap. $4500. I'd almost drive there myself now to get it if I was a little more ballsy. So, I'm actually out here now. I was thinking about this again, went to make essentially the same post, then thought better and did a search and found MY OWN POST ON THE SAME TOPIC. So resurrection zombie post it is! My new group is actually very car guy heavy, which is actually somewhat unusual in the automotive industry (surprising, I know). Anyway, the fellas here have a pretty interesting variety of cars... one guy has an AE86, another a STU E36 M3, a third has a RB20 powered Ranger (?) a '60s Falcon with a turbo 2.3L and a Ford F-100, while my mentor has one of the anniversary edition 4th Gen. VW GTIs (he's going to replace it with a S2000 rather soon it sounds like). Anyway, I sold the Miata, already miss it a little bit. My 2011 MINI Cooper S has 90k+ miles on it and is starting to frighten me. Through work, I can get a good deal on new Toyotas, so there is a 2016 Toyota 4Runner TRD Pro already ordered. It will be my tow rig and alternate daily (if the project isn't up to the task or is in pieces). I'm still kinda thinking something old... though if I do I want something I can make halfway competitive in SCCA CAM-T (think Pro-Touring with less money... for now). I just came back from Solo Nationals and am rethinking taking two years off from autocross while I'm in California. The other alternative is to find something fun to autocross, like a NC Miata in CS or a 996 in AS. San Diego does have an active CAM group, ours is growing and the Historic class at will have three Sunbeam Tigers running on Sunday. I will be on site running my '95 Miata and helping my son in his FJB Kart. If you make it out on Saturday bring your helmet, this is one of those sites that will remind you why you chase cones to spend time behind the wheel. Rabbit GTI gets my vote..
Any thoughts on a '74 Audi 100? There's one for sale locally in fantastic shape. Info from wikipedia threatens underwhelming performance, but it sure is a good looking car. Maybe later VW Golf 4-cyl engines would fit and pep it up a little bit? I think they're cool cars and I have fond memories of riding in my step-grandpas 100. My main concern would be parts availability. Even the ones that are considered collectible in Germany (like the 100 coupe) are notorious over there for horrible parts availability so I don't think it's going to be much easier over here. BoxheadTim wrote: My main concern would be parts availability. Even the ones that are considered collectible in Germany (like the 100 coupe) are notorious over there for horrible parts availability so I don't think it's going to be much easier over here. This was my immediate concern as well. I hoped that they might have some parts sharing with other VAG products, but according to Wikipedia the C1 was a unique platform. I'd prefer something pre-1975 for California emissions reasons.